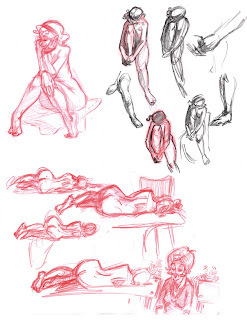 My coworker Katelyn mentioned a place 20 minutes outside of Charlottetown that does life drawing. It was fun life drawing again, but i'm really rusty. Poses were 10-30min long so i experimented with the same pose 2-5 minutes at a time. Only a 2 hour session tho which is kinda short but, i'm glad to get this going again. Probably gonna go again next week!